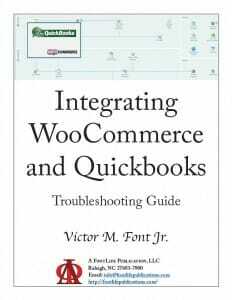 The 2.1 update to WooCommerce breaks the WooCommerce-QuickBooks Integration plugin. After the update Sales Orders refuse to push through to QuickBooks. The errors are cryptic and don't seem to have anything to do with the actual problem. The plugin generated 181 characters of unexpected output during activation. If you notice “headers already sent” messages, problems with syndication feeds or other issues, try deactivating or removing this plugin. Thanks for letting us know. That just occurs on activation and we'll correct in the next update. It doesn't affect the functionality of the plugin after activation. Author's note: I have no affiliation whatsoever with 61extensions.com. 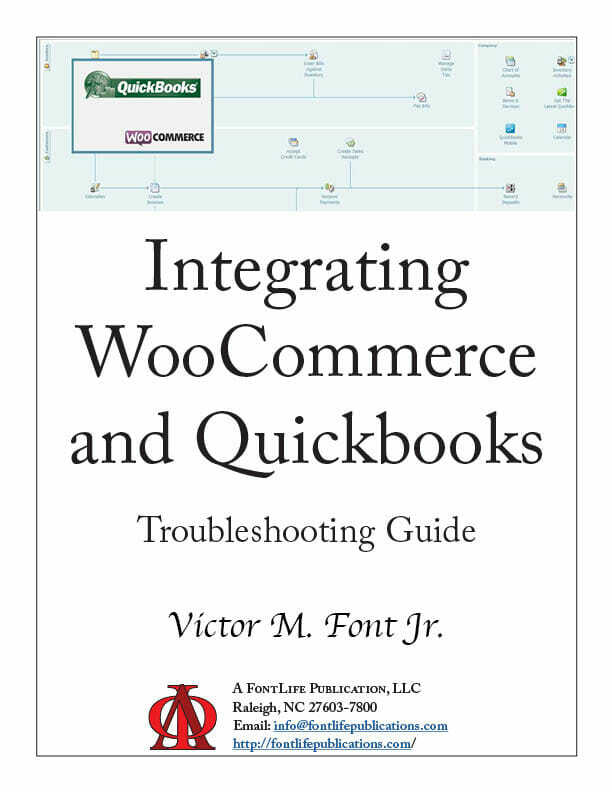 The WooCommerce-QuickBooks plugin is a necessity for my site and I enjoy troubleshooting. If you are interested, I've written a troubleshooting guide that addresses all the problems I've encountered either on my own or by helping other people to solve. You can purchase it for instant download below.